Vitamin D3 is Non-Toxic, Inexpensive, Effective and Easily Accessible- The Ultimate Therapy? Numerous studies correlate the importance of Vitamin D3 with numerous chronic diseases. Cancer in particular. Or should I say that low blood levels of vitamin D3 are associated with many diseases? Cancer in particular. As a cancer survivor and cancer coach, I believe that the issue is not how much vitamin D3 to take. Dosing won’t tell you what you need to know about your serum blood levels of vitamin D3. The trick is to learn about what your individual serum blood Vitamin D3 level is. I live in Cleveland, Ohio. I am a cancer survivor who has a long-term risk of melanoma. I stay out of the sun. Therefore, I need to supplement with Vitamin D3.The numbers listed below are taken from LabCorp blood testing in 2009. 2011 and 2014. 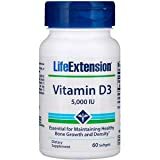 I take Life Extension Vitamin D3 because this brand has been tested and approved by ConsumerLab.com an independent testing service. I encourage you to have your blood checked for Vitamin D3 and, depending on your results, supplement with Vitamin D3 . Could Probiotics Enhance the Efficacy of Immunotherapy for Melanoma? The primary outcome was the incidence of overall or specific cancer. The investigators selected 4044 random subgroup volunteers to match the 3301 cancer patients and measured the concentration of plasma 25-hydroxyvitamin D with an enzyme immunoassay. Participants were sorted into quarters based on gender- and season-specific distributions of 25-hydroxyvitamin D, and hazard models were calculated using statistical analysis. Of the separated groups, the lowest quarter was used as the reference. “CONCLUSIONS: In this large cohort study, serum 25(OH)D concentrations were inversely associated with all-cause and cause-specific mortality. In particular, vitamin D deficiency [25(OH)D concentration <30 nmol/L] was strongly associated with mortality from all causes, cardiovascular diseases, cancer, and respiratory diseases. “Vitamin D is a fat-soluble vitamin that is naturally present in very few foods, added to others, and available as a dietary supplement. It is also produced endogenously when ultraviolet rays from sunlight strike the skin and trigger vitamin D synthesis….